Hello there, fellow devious minds! Happy New Year from your friends at Devious Devices! Ordinarily, a new year is a time for hopeful anticipation for what the future might hold. It’s a time for reflection and resolution. It is the save point that lets us reset our shortcomings of the past year and trudge once more unto the breach, dear friends, with renewed vigor and enthusiasm. For some, however, 2018 might already be looking more like a bleak, dystopian landscape than any semblance of hope. Fear not! We’ve got your back. To distract you from the horrors of the world, we’ve made a new game! And we’re pleased to announce that it’s available right now! 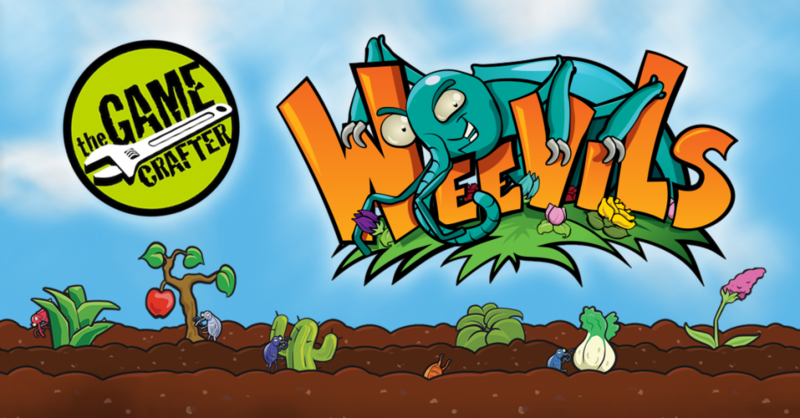 Weevils is our newest game, a cooperative gardening-themed card game for 2 to 4 players, ages 10 and up. And it’s currently available on The Game Crafter for slightly less than ten bucks. If you were at PAX Unplugged in November, you might have seen the game in action. We debuted it there for scores of con-goers and it was a big hit, which prompted us to upload the first edition to TGC — the fastest way to get it into your hands. In Weevils, players work together to grow a beautiful garden in time for the Summer Festival. But watch out for the Weevils… they’ll eat your precious Plants! Manage the resources at your disposal and grow 5 complete plants before the deck runs out to win. You can read all about it on our website or on The Game Crafter product page. If you do pick up a copy for yourself, please support your favorite starving game designers by leaving a rating on BoardGameGeek. Thanks! 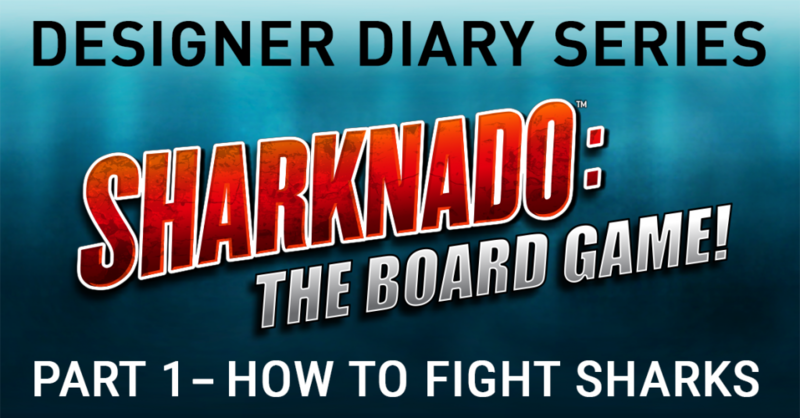 We’re getting ever closer to bringing Sharknado™: The Board Game! back to a crowdfunding site near you (the internet). In preparation for that, we’ll be publishing a series of posts to the Devious Devices blog, to discuss the ways in which the game has changed over its development cycle. If you’ve played the game before, you know it ain’t all sharks and severed limbs. If you’re interested in seeing how the game has evolved and the decisions that went into the various systems that encompass it. Part 1 — How to Fight Sharks is already live for your reading pleasure, with more on the way soon. 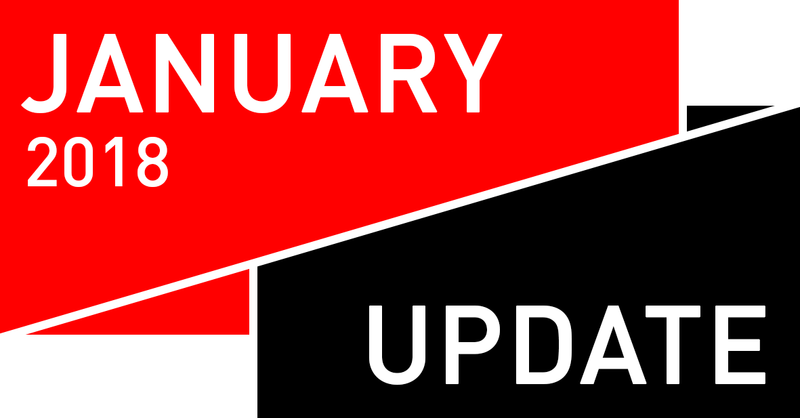 As always, if you’d like to chat about this update, you can reach out to us via Facebook, Twitter and Instagram (@DeviousDevices), or leave a comment here on this blog. Until next time, friends! Sharknado is a registered trademark and copyright of The Global Asylum Inc. Licensed by Syfy Ventures 2018, All Rights Reserved.